Adult QFF are typically about 7 millimetres long and are reddish-brown in colour, with distinct yellow markings. 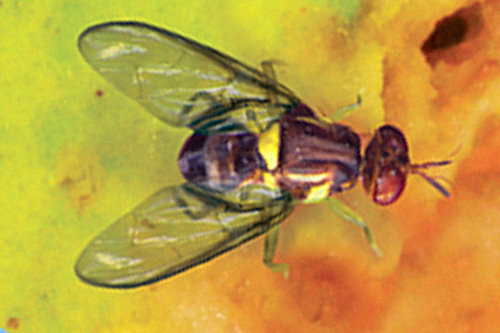 Fruit fly are often not discovered until fruit is cut open and a visual inspection detects creamy – white maggots burrowing inside. Other indicators of QFF activity include the detection of small puncture marks or stings on the skin of fruit. 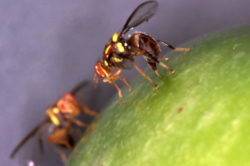 These marks are left from female fruit fly after the laying of eggs and prematurely ripen the fruit. 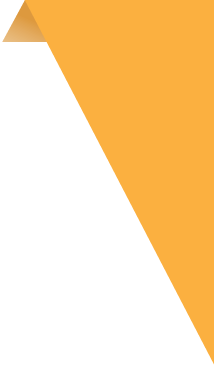 The QFF’s rapid breeding cycle can lead to significant population growth over a short period. 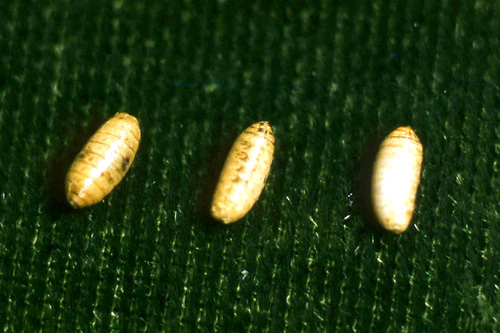 There are four stages in the QFF life cycle: egg, maggot (larva), pupa and adult fly. 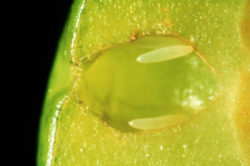 Female QFF puncture host fruit to lay eggs. Eggs are white in colour and banana-shaped. Eggs are generally not detected by gardeners. It does not take long for a small maggot to emerge from each egg. 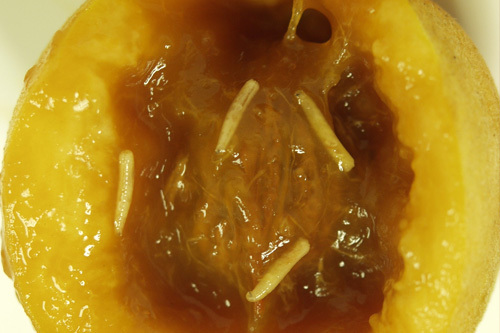 As the maggot feeds on the fruit it grows in size. 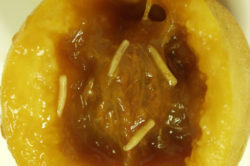 Maggots typically eat towards the centre of the fruit which promotes the rotting of the fruit, despite it appearing to be unaffected from the outside. 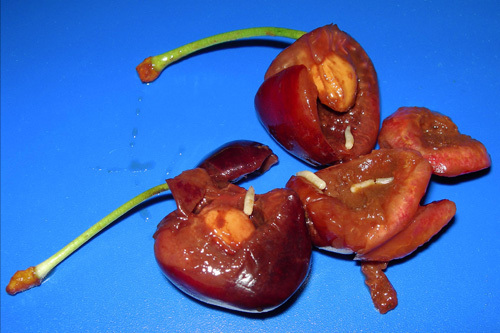 Once the maggot has finished growing, it will chew its way out of the fruit – which by this stage has usually fallen to the ground – and burrows into the soil. While burrowed into the soil, the maggot becomes inactive and changes into an oval, brown, hard pupa. 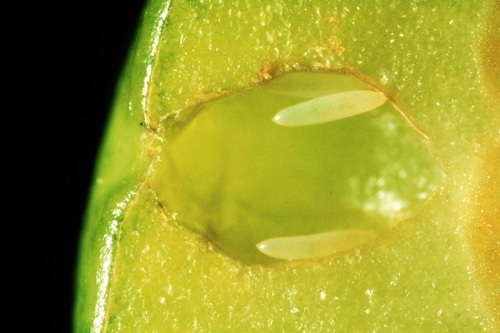 The adult QFF develops within the pupa and after hatching emerges from the ground. After feeding and mating, females search for suitable ripe fruit to deposit their eggs. The punctures or stings are very small and are not usually recognisable to the untrained eye.